MARCH MEETING IS RESCHEDULED TO MARCH 12th DUE TO BALLROOM AVAILABILITY! After many years of neglect, the traffic triangle at the intersection of Oak Lawn Avenue and Cedar Springs Road received an award-winning renovation. 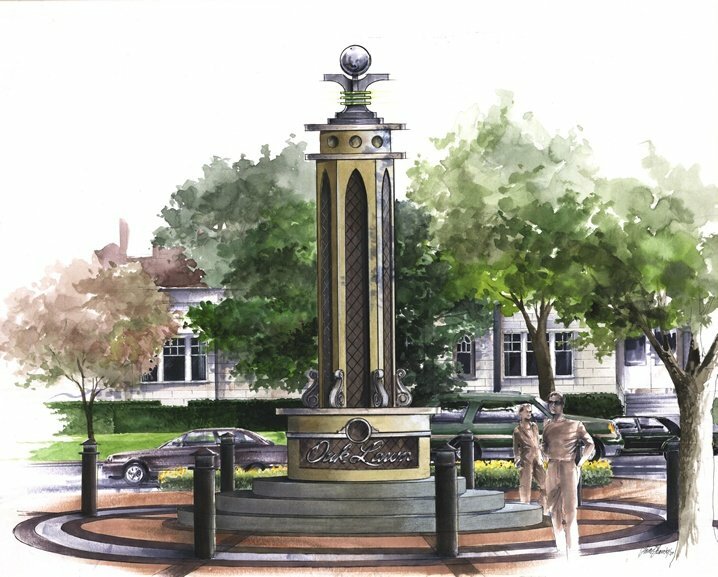 The ingenious and creative design by local landscape architect Cheryl Baez incorporates a column monument and garden in a way that unites, reflects and celebrates the diversity and variety of elements of our neighborhood. 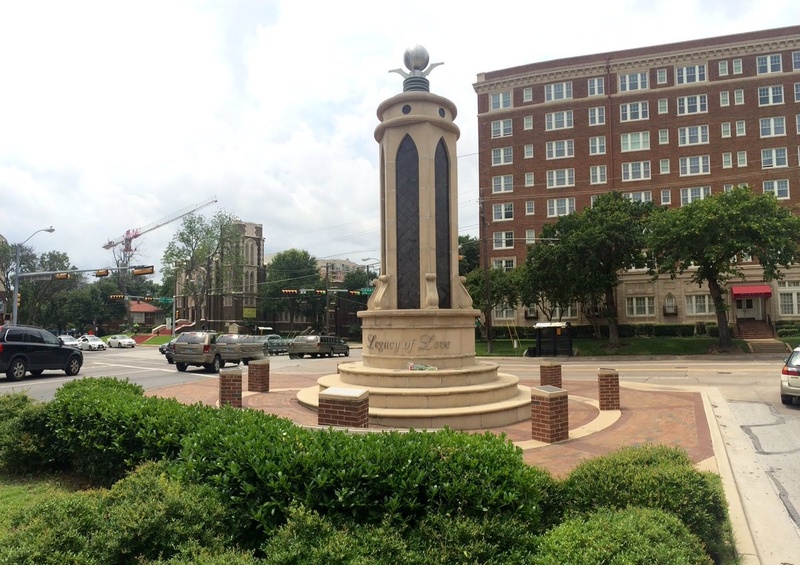 Support the Legacy of Love Monument at the Oak Lawn Triangle by making a contribution. Please contact us for information. Corporate and Individual Sponsors See it being built (huge PowerPoint file) Your tax-deductible donation to the Great Oak Lawn Fund is critical to support this community landmark for generations to enjoy. The Great Oak Lawn Fund is part of the Communities Foundation of Texas, a 501(c)(3) tax-deductible organization.